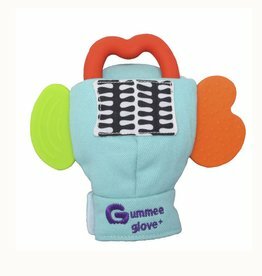 The Gummee Glove is a multi award-winning teething mitten worn by babies too young to hold other teething products. It won’t fall off a baby’s hand thanks to its velcro attachment - no more toys being dropped on the floor, or thrown out of a pushchair! The Glove helps a young teething baby to soothe themselves.